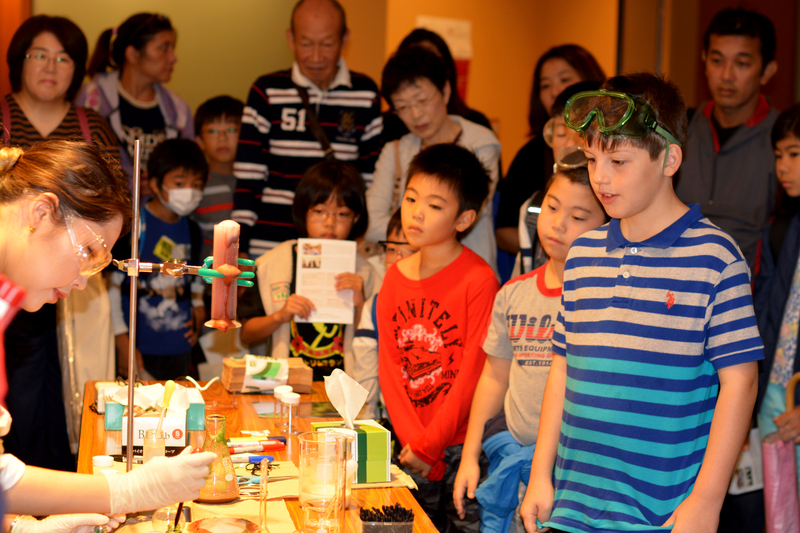 On Sunday, November 27th, guests from all parts of Okinawa flocked to OIST to attend the Open Campus Science Festival. This event was OIST’s biggest Open Campus to date, with over 5,200 people attending, 250 volunteers, 20 food vendors and 35 booths featuring hands-on science activities, observation of different organisms such as ants and zebrafish and dressing up like a scientist for an “Oistagram” photo. 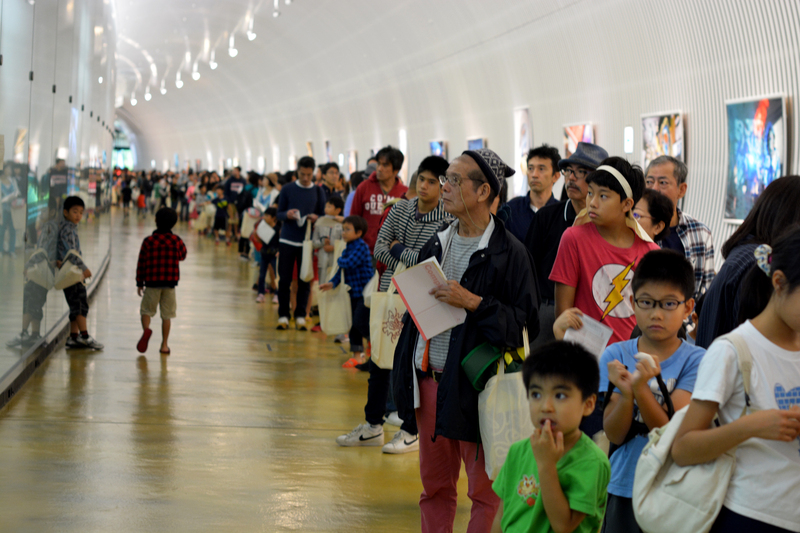 Despite the heavy rain, guests began to line up for the event over an hour before the scheduled start time. Guests in line were treated to special musical performances while waiting, including traditional Okinawan sanshin playing and a string quintet. The “Chemical Demonstrations” booth appeared to be very popular, entrancing both adults and children alike. 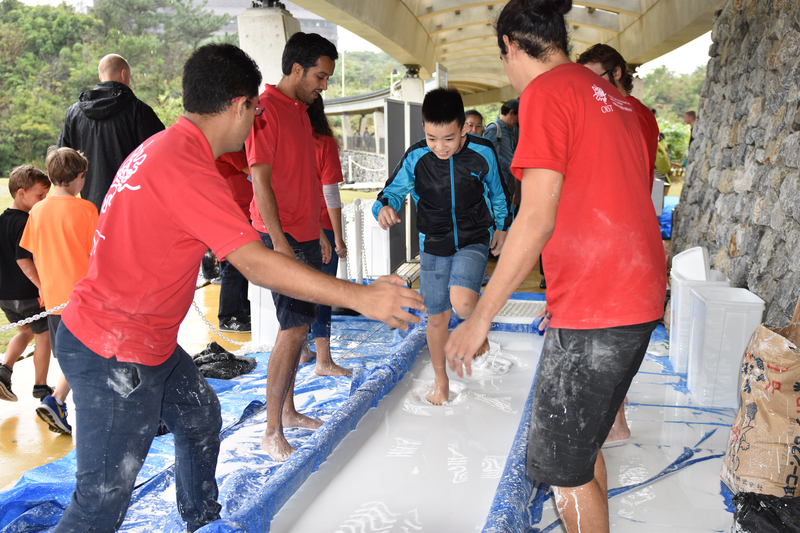 At the “Walking on Water?” booth, visitors got to see if they were fast enough to “walk on water”! Guests appeared to love all of the different events. Children in the audience during the “Experiments with liquid nitrogen” show exclaimed “Sugoi!” or “Wow!” as deflated, frozen balloons became inflated again when reaching room temperature. 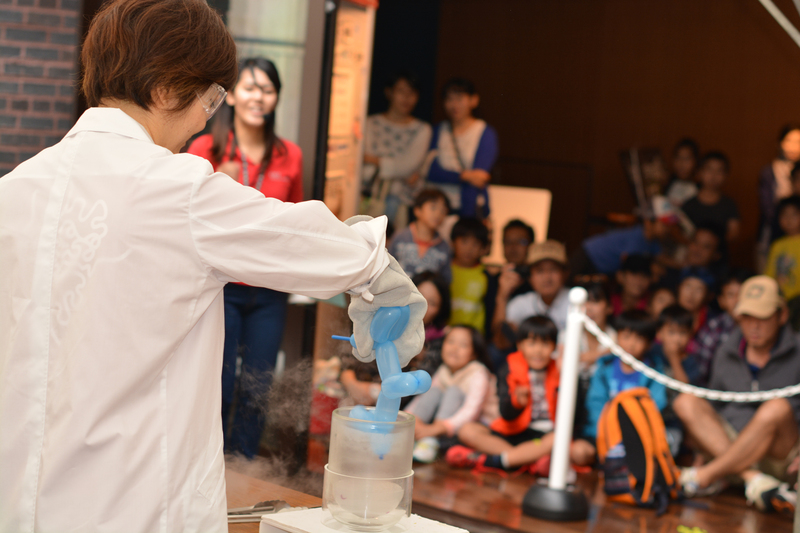 Guests enjoyed the “Experiments with liquid nitrogen” show at the Open Campus Science Festival 2016. Throughout the campus, adults and children alike could be spotted wearing brain hats they made at the “Neuroscience with paper and pencils” booth and “I studied camouflage at OIST” stickers from the “Hiding in plain sight” booth. People of all ages seemed to enjoy the different activities, from observing honeybees to making sticky slime. Guests enjoyed the many different events at the Open Campus Science Festival 2016. Here, a boy learns how to use a pipette. This event was made possible by the many volunteers who very graciously worked through this rainy Sunday. 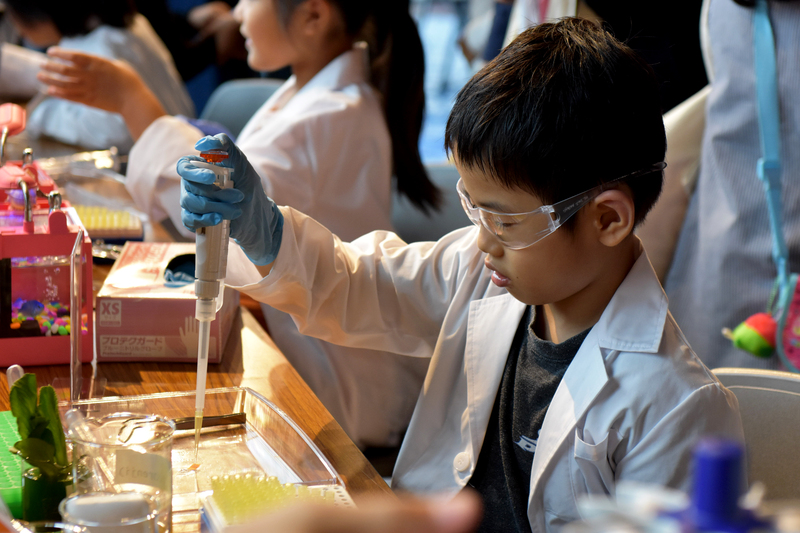 Over 250 OIST students, employees and their family and friends volunteered to put on science performances, provide information to guests and hand out OIST bags, among other activities. Despite the weather, everyone seemed to have a wonderful time and are looking forward to the next event!